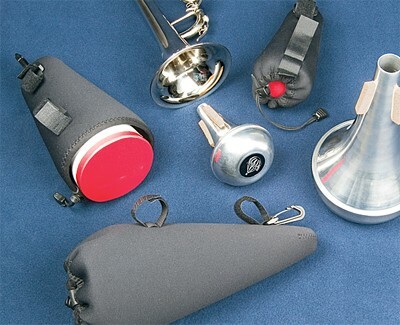 The MUTE CASE from Neotech provides a safe and convenient way to transport and store your brass instrument's mutes. The soft, durable neoprene pouch stretches to accommodate a variety of sizes and types of mutes, protecting them against dust, moisture and impact. The drawstring closure secures and releases quickly and easily. A convenient snaphook is provided as well as a pair of touch fasteners that allow you to "piggyback" the MUTE CASE onto your instrument's carrying handle. Available in three sizes to fit mutes for trumpets, trombones and French horns.